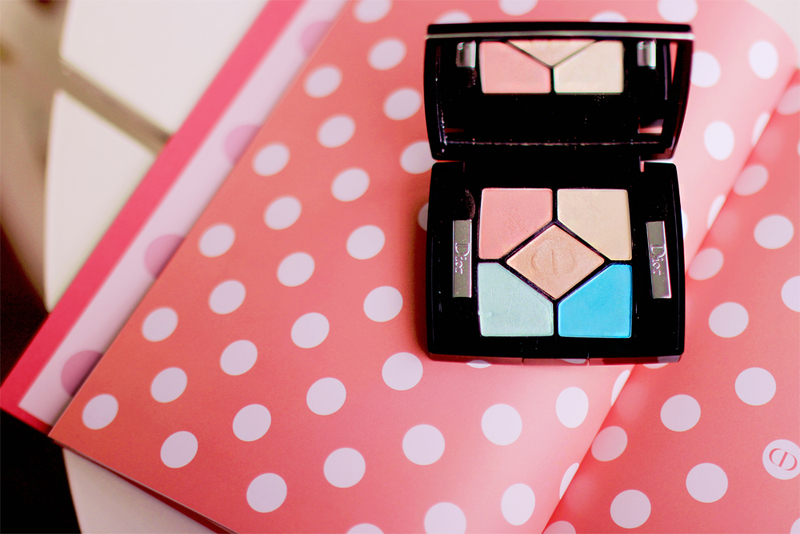 Probably the most fun and colorful beauty collection from Dior ever - Milky Dots! The bright colors of the collection are stunning and really inspires to create something different with your everyday look. I absolutely love the blue eyeliner look Hanneli Mustaparta created with the 5 colors palette - watch the tutorial here. The bright colors might look too much for some, but it's amazing how wearable they really are. 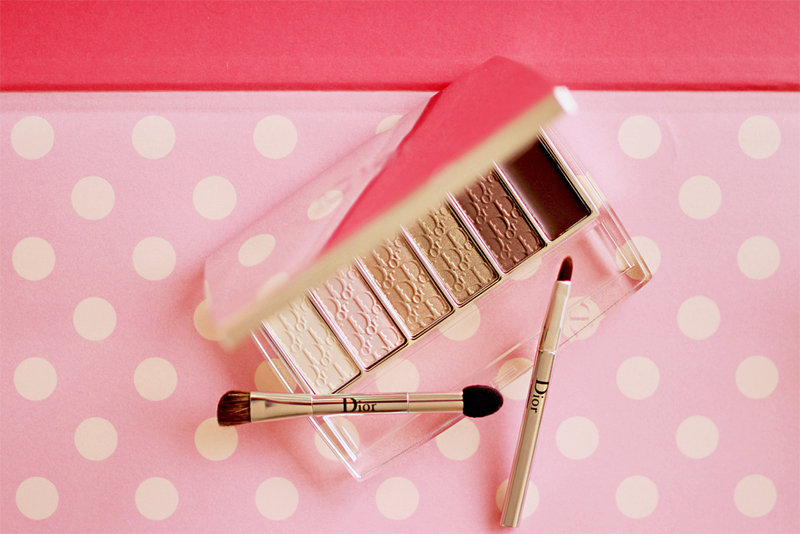 Of course if you're not into brights, Dior relaunched their backstage eye reviver illuminating neutrals palette which contains all the beautiful neutral shades for day to day looks, as well as a brown gel eyeliner within the palette. My favorite launch within the collection must be the new Milky Tints. 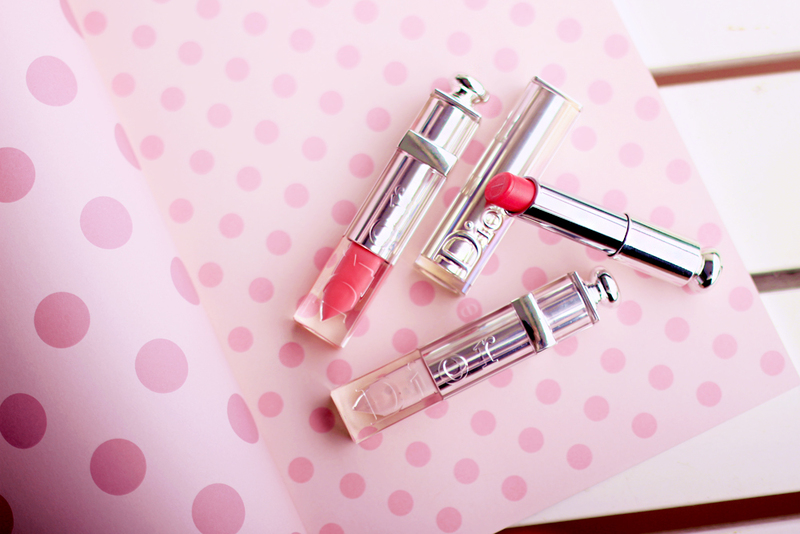 The first tinted lip milk by Dior, fluid formula that feels nothing like a lipgloss, nor a lipstick or a lip balm. It's wet, not sticky, extremely soft, and the colors literally look milky on the lips. The lightest from the collection - milky pearl, looks almost white, but when you but it on the lips it creates a soft, cloudy shine that looks absolutely out of this world. And even better - you can use it to top any other lipstick for a unique milky look. 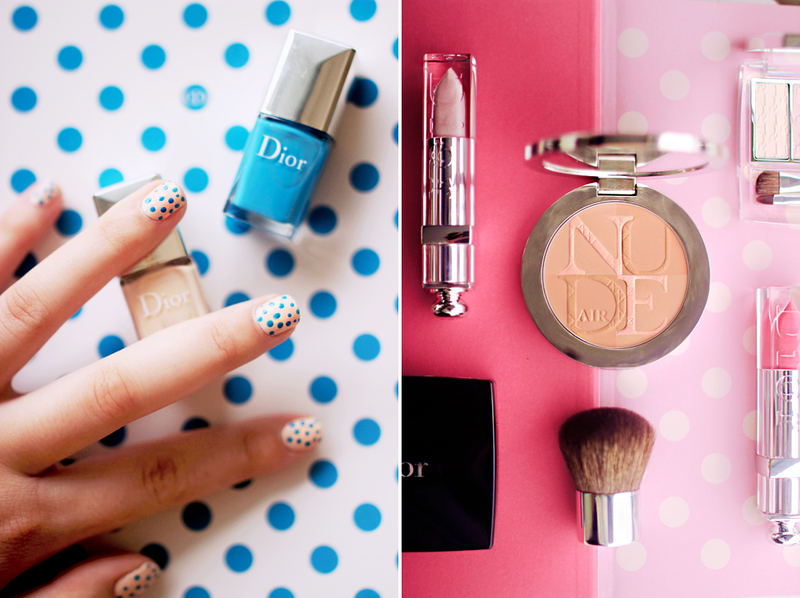 Dior also launched new manicure kits, that include two small nail varnishes and a dotting tool. It's a really good value as the kit is almost the same price as a single Dior varnish. And if you ask me - it's super fun to use! Oh my GOsh!! !love this collection!!! so pretty!!!!! Uh, I'm obsessed..the colors are everything! So pretty! I love Dior stuff! This is looking so lovely and cute ! All the products look so pretty! 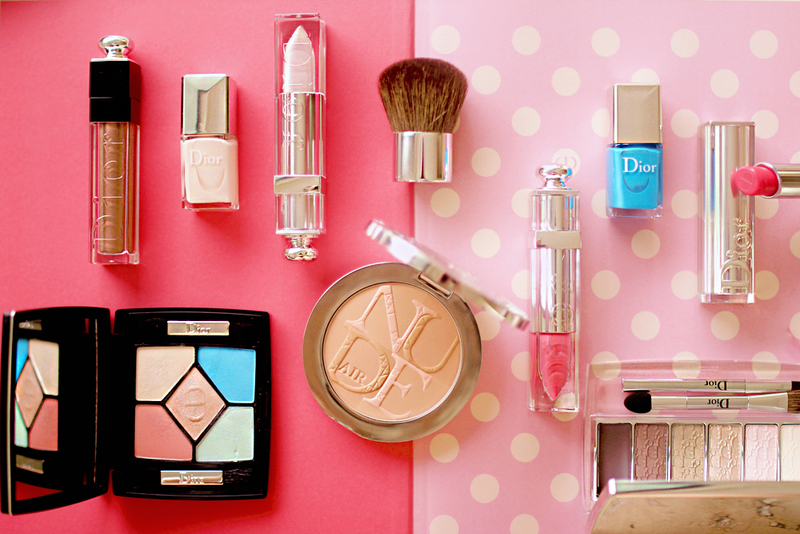 love all the colors and the makeup! All the products look so great! Amazing makeup! I LOVE your nails! 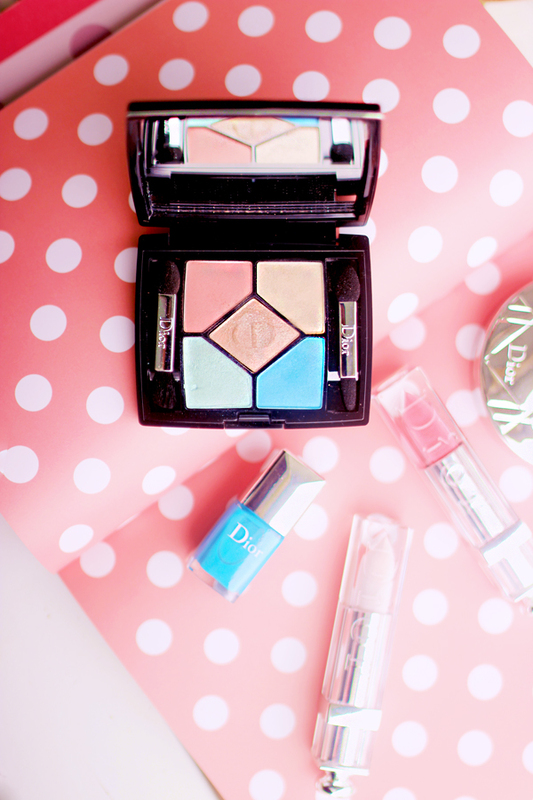 I like Dior very much and the palettes are really super sweet! I loved the nail polish kit, a good deal, that has a dotting tool, and the price seems to be good! I would love to try this dotting tool! That sky blue eye shadow is so pigmented! I want it!!!! Great photos too.